Can you even believe it's Labor Day weekend? Where on earth did summer go? It seems like just yesterday it was Memorial Day and I was looking down the barrel of a super-long, fun and relaxing summer. Now it's over! Totally unbelievable. In any case, I decided to go out with a bang by getting the Tropical Coconut Manicure at Haven this week. This mani is totally perfect for the gal who wants to pretend she's on an exotic tropical vacation. I was totally in love with everything about it, from the soothing coconut milk soak to the coconut scrub to the creamy coconut-infused body butter. Sounds totally and completely heavenly, doesn't it? Not to mention my nails were buffed to perfection and my cuticles haven't looked this good in weeks. Top it off with two coats of polish and WOW. My nails look amazing. Best of all, it's unbelievably well-priced. The 30-minute Tropical Coconut Manicure is only $20! Unbelievable, right? So embrace summer even though it's gone -- because before too long, you'll be snuggling up in fall's cozy knits and dreaming of tropical paradise. 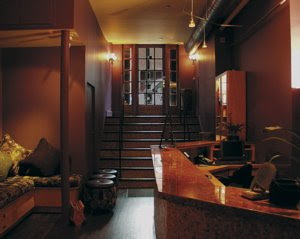 For more information, head to havensoho.com or call 212-343-3515.